IFFO are an international organisation that represents and promotes the fishmeal, fish oil and wider marine ingredients industry worldwide. 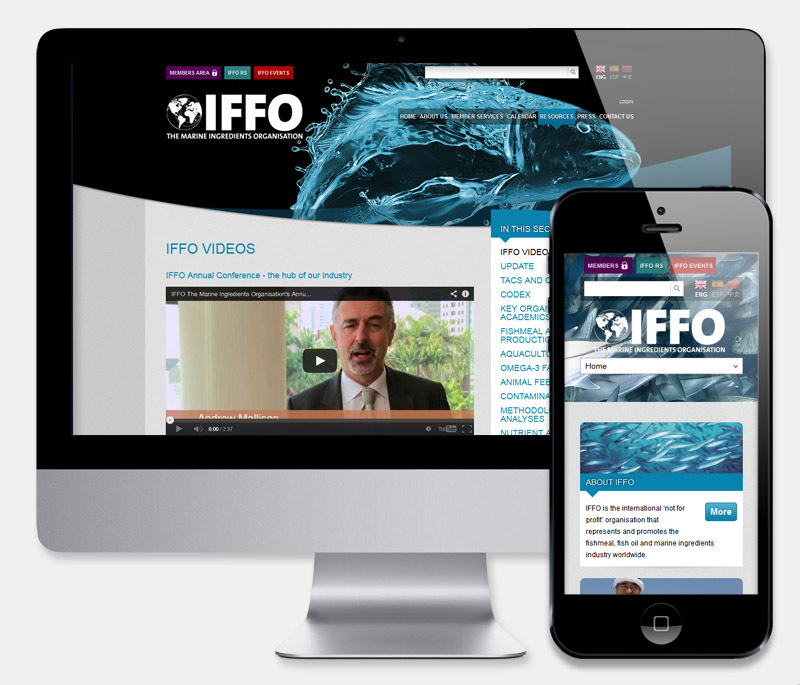 IFFO came to us needing a new website for their organisation. Their existing website was starting to look a bit dated, and maintaining the site was both complicated and time consuming. IFFO's new website needed to contain much of the same functionality from their previous site, but also needed to be fully responsive (working well on desktops, tablets and mobiles) and a lot easier to administrate for their staff members. We built the new website on the open source Drupal framework which allows IFFO extensive control over content and appearance. We put a lot of effort into making sure that the new IFFO site works well on multiple devices and screen sizes. Other big features of the website include a secure members-only area where different content is made available to different levels of member, and the ability for IFFO staff members to translate the entire contents of the website into different languages.